Italian M&A saw 286 deals worth €23.8 billion in H1 2018, showing a continuation of record-breaking deal activity in previous years, according to a new report from Italian law firm Gatti Pavesi Bianchi (GPB). This emerges amid political and economic challenges in the region, following a period of uncertainty following elections in March 2018. Deal activity has been driven by increased interest from foreign buyers eager to invest in Italy’s world-class products and brands. While the country has grown to be the fifth largest exporter of goods in the G20 and the second largest exporter of goods in Europe, M&A has also been used as a way to open channels to new markets around the world. Key deals in H1 2018 saw traditionally important sectors in the Italian market remain strong – with significant deals taking place in the manufacturing, chemicals and industrials spaces. 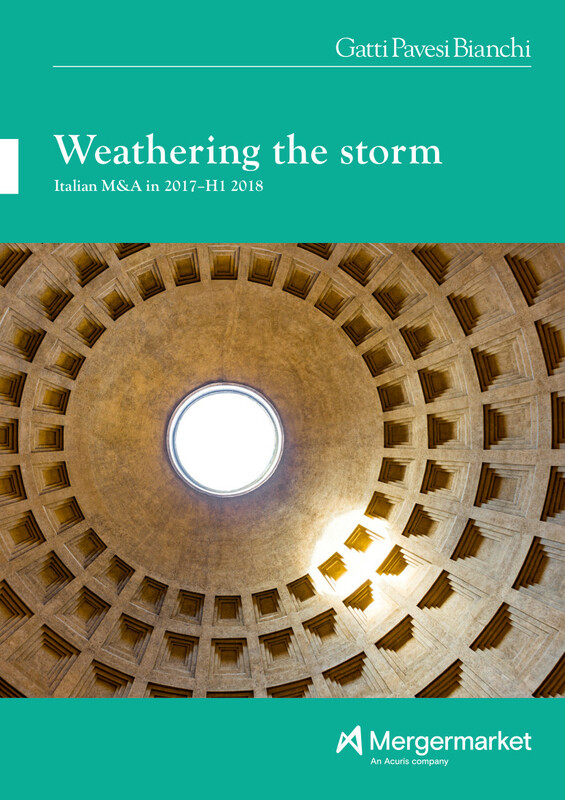 M&A in Italy is thriving in spite of economic and political uncertainties in the region, and for companies who have long been able to ride out such uncertainties, the future looks bright. Other challenges facing dealmakers persist, including the vulnerability of the banking sector and high levels of public debt in the country, with this sitting at 132% of GDP. Sector activity in the region over the last four years has shown high levels of volume across industrials and chemicals (33% of deals in 2014/2015 and 31% in 2016/2017) and consumer (20% for 2014/2015 and 17% for 2016/2017). Sector value over the past four years has shown greater variability than volume, with consumer and financial services accounting for a large proportion over the past two years (31% and 27% respectively), but significantly less in the previous two years, when industrials and chemicals and TMT proved strongest in terms of value. While foreign investment has driven Italian M&A in recent months, a high volume of domestic dealmaking persists, accounting for 53% of total deal volume in 2017 and 59% of total deal volume in the first half of 2018.